I’ve had this picture up on my Work Wall for over a year now. 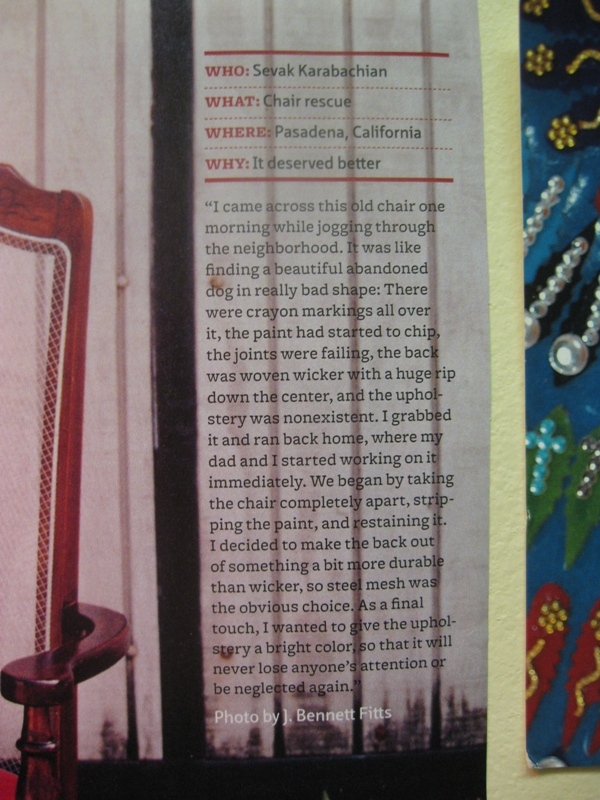 (More about the Work Wall another day) It’s from Readymade magazine, a really cool magazine for hip DIY-ers. I am not a hip DIY-er, but sometimes I would like to be, so I live vicariously through reading Readymade. Why has it been on my WW for over a year, and is even at eye level so I can glance at it all the time? I think it gives me hope. Maybe I even see God qualities in the man who rescued it. 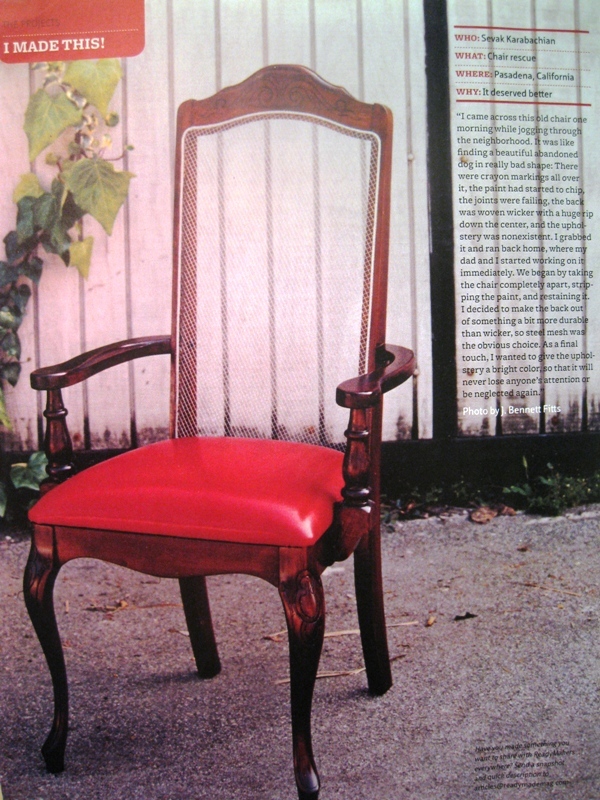 He saw that this chair – despite being practically destroyed – had amazing potential to be beautiful and special. Not only that, “It deserved better.” The chair had been abused – drawn on, the backing was ripped, and hadn’t been taken care of at all. I envision it living in a house with a pack of undisciplined children and dogs. But its beauty was still visible to someone who could look beyond the flaws. There are glimpses of eternal significance in this little story. Looking past our friends’, co-workers’, and family members’ flaws to see the true beauty within….even being willing to modify our idea of what beauty is….and resting in the fact that there is Someone who loves us, rescues us, and cleans us up when we’ve been abused or neglected. Then He turns us into something amazing: His artwork.